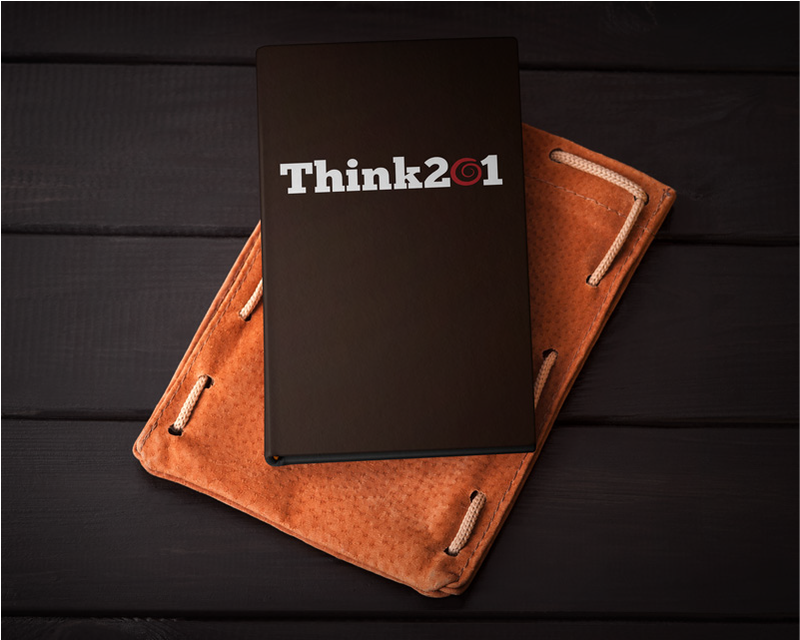 Think201 is a design backed technology company which provides an end-end solution to a business, right from ideation through conceptualization to design and development of web apps, mobile apps and websites relevant to the business requirement. We are a bunch of creative techies who believe in delivering outstanding and innovative solutions to our clients by continuously expanding and progressing ourselves to provide value to the products that we build. A lot of brilliant ideas are thought and created at our launchpad. 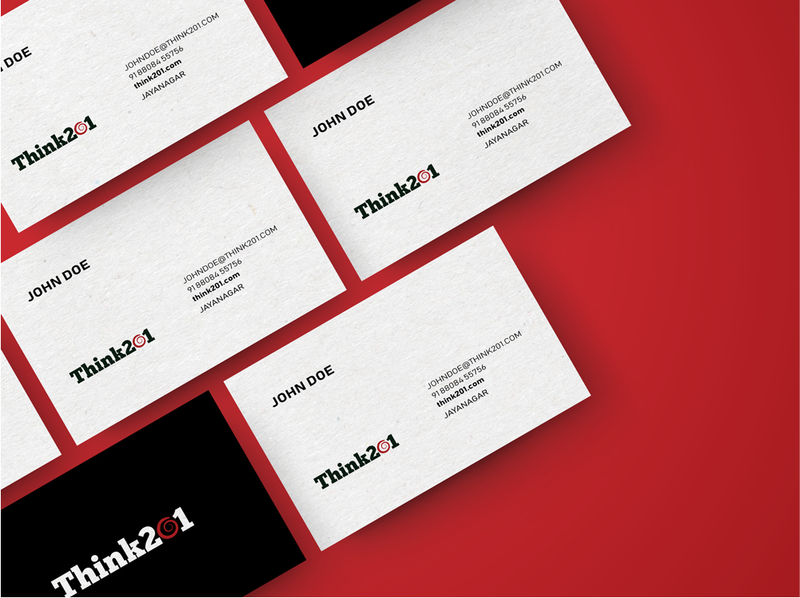 '201' in our name means successful creation in the language of server response code, whereas 'Think' explains itself. When read together, it’s "Ideas created successfully". 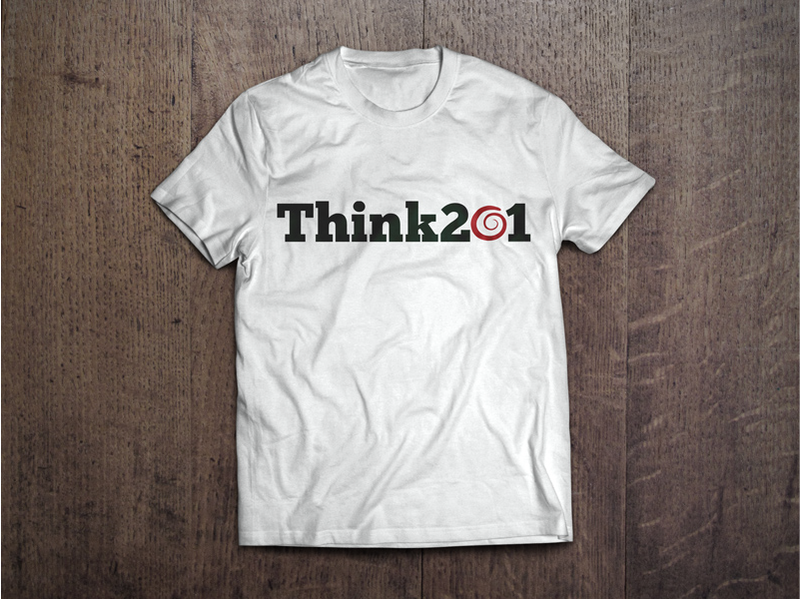 That's how Think201 was coined. Our logo, the eternal spiral, is one of the oldest patterns of evolution and growth found in nature. Each turn of the spiral takes us to a higher level of growth and also brings us back to the same place. As we can continue to grow and elevate, it brings us down to roots and does not let us compromise on our core value system. The Spiral is the powerful symbol of creation, growth, evolution, consciousness, balance, progress, direction, initiation, expansion, awareness, development and in short, our core values. Crimson stands for energy, passion and power. The shade used is an attention-grabbing color. It’s an energetic and vivid influence within the technology world. A touch of meta crimson to a website can help portray the business as energy- driven and exciting. Black in general means authority, power, control. Jadeite black gives the feeling of perspective and depth and also communicates elegance and prestige. The Typeface used in the logo is an ultra-bold slab serif typeface that symbolizes strength and structure. It is naturally bold which makes it suitable where you need a heavy presence. The Logo, which gives an exquisite look on any base, can be used for branding and merchandising purposes.